The deputy said the man's foot was on the brake pedal. 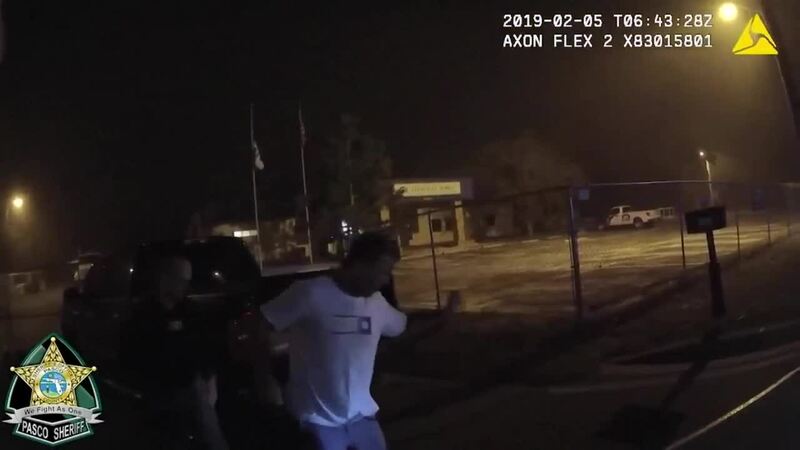 The man seemed disoriented and waved at the deputy, according to the affidavit. When ordered out of the vehicle, he got out - but since it was still in drive it began to roll forward. Deputies said Larson also blew into a breathalyzer where he got a reading of 0.28 BAC. One officer had to quickly jump in and hit the brakes so the vehicle wouldn't hit a gate in front of it. 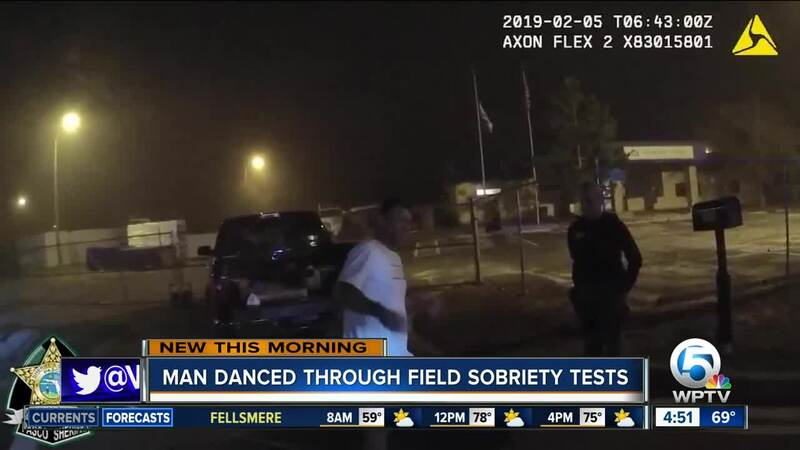 A Florida man was captured in police body camera footage appearing to dance his way through a field sobriety test, as he fails miserably. At one point in the tests, Larson was instructed to walk heel-to-toe across a piece of tape stretched out on the ground. When asked how much he had to drink, Larson asked the deputies to make it easy on him.